CHICAGO (WLS) -- The family of Holly Hicks is hoping someone has seen the 17-year old girl. 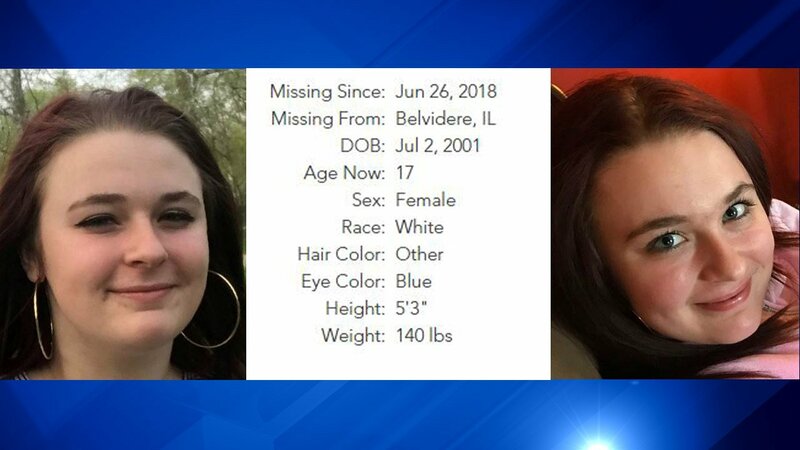 She disappeared on June 26 from her home in Belvidere. Relatives say Hicks, who has disappeared before, is an easy target. Cousin Nicole Dlugi described Hicks as very sweet and trusting. Relatives said Hicks' disappearance is suspicious. She was looking forward to her birthday when she went missing. The National Center For Missing and Exploited Children just put out this information about Hicks. If you have any information as to the whereabouts of Hicks, please call the Boone County Sheriff's Department at 815-544-9322.